In this tutorial we perform Voice recognition, an extremely complex visual task, almost instantaneously. Our own recognition ability is far more robust than any computer’s software can hope to be. We are able to recognize the voice of several thousand individuals whom we have met during our lifetime. Here the focus is towards developing a sort of unsupervised pattern recognition scheme that does not depend on excessive geometry and computations like deformable templates. 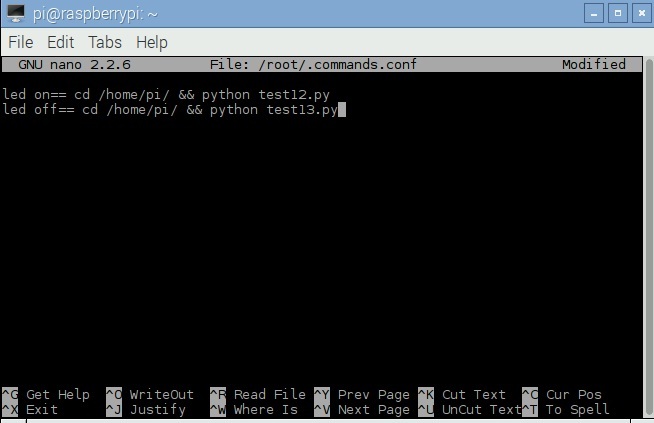 A voice recognition software is installed on the Raspberry Pi 3 which works with the help of internet. Raspberry Pi 3 has inbuilt WiFi and it fits the application very well, as internet access comes with ease from an access point5 or even from a hotspot. Click here to get the details for configuring WiFi in RPi 3. Google Voice and speech APIs are used by the application software to perform voice recognition and thats why internet connectivity is a must have for this project. What happens here is speech to text conversion in simple words. The result will be a text corresponding to the input speech on USB Microphone. Raspberry Pi does not have a sound card and therefore it wont support microphones on audio jack, so we would recommend a USB microphone or a USB webcam with built-in mic. Power up your Pi with all the peripherals connected (ensure the Pi has internet access). Firstly, we would need to check the microphone connected to it. 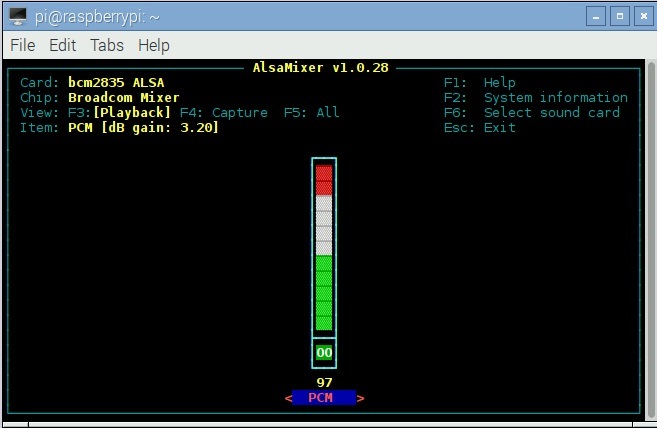 Open up the LX terminal and enter the command, alsamixer. Following the command, a new window will open up: Access the UI and there in you can adjust the volume (use up/down arrow keys). Press F6 to select the microphone from the list and control the recording volume by pressing the up/down arrow keys. 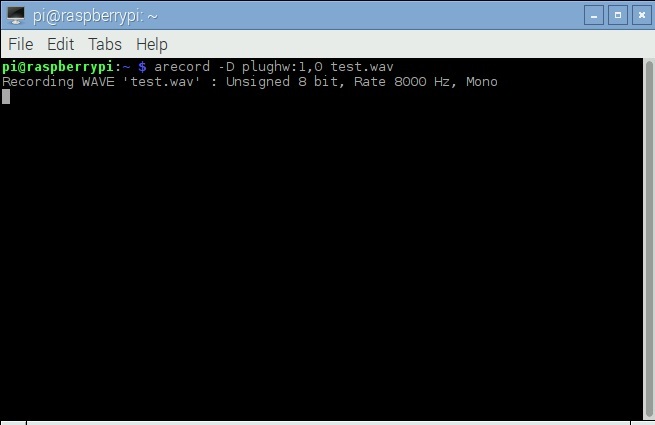 To play the this file, enter aplay test.wav in the terminal. Download the software from this link. 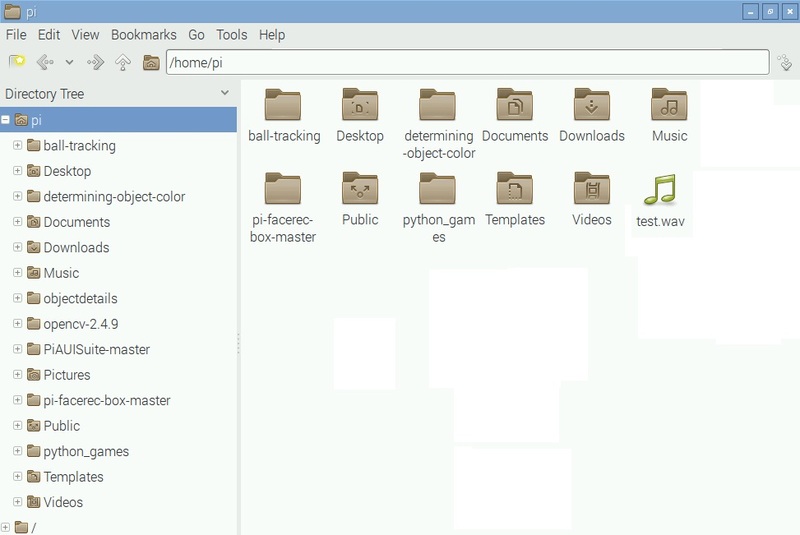 Extract all the contents to the home folder and open up the LX Terminal. Type in cd PiAUISuite/Install to change the directory. During installation many confirmation questions will likely pop up. Read the questions clearly and press y/n to select the preferred option. The voice command input is converted to text using google voice API. 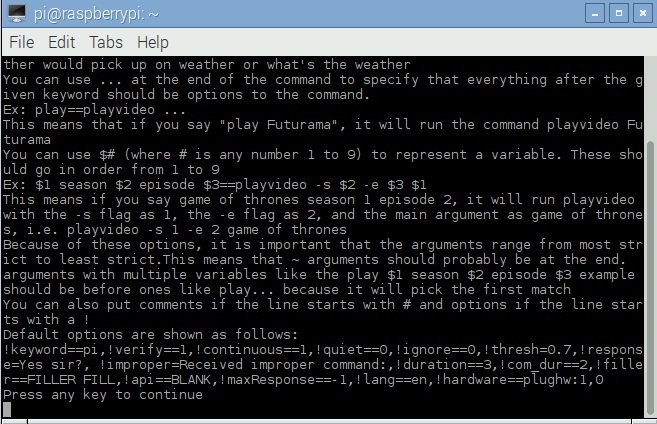 By configuring the application files accordingly, we can enable the Pi to act upon our voice command. In this example, we control an LED connected to Pi. It can be switched on or off as per the users voice command. For which we would need two programs, one to switch on and the other to switch off. Click here to get the details on how to blink an LED using python script. Save the programs as test12.py and test13.py. 28 Responses to "Voice recognition using Raspberry Pi 3"
when i use sudo voicecommand -c , it says found audio, but the action is not been performed. The below is log of terminal during activity, please someone help…. Hi mahesh, i have net connection, i could update packages on pi, what might be the other reasons? This is the same as Veera reported above. there could be two options for that result..
there might not a proper internet connection. Could you please tell which model of Raspberry Pi 3 do we need for the project? hello.. can i used the offline voice code? should i used sphinx or another software for recognize the the voice command? i am having a similar problem said by @veera ! Anybody pls help ! ! I just happened across this forum and decided to share my knowledge that I’ve gathered from researching this frustrating issue. Apparently, from what I’ve read at least, Google has changed its accessibility to its voice recognition API, thus rendering this software unable to process requests. I’ve seen some workarounds involving sphinx or other offline STTs; however, nothing really definitive for using Google’s more powerful engine. It seems that this is a relatively new issue, and hopefully the author of the software can figure an alternative out. I’d make suggestions, but I’m relatively new to the whole voice recognition concept so I’m more in the learning stages instead of instruction stages. Just thought I’d bring a little closure to the thread, albeit no solution . can we use mobile headset micro phone instead of usb micro phone???? No…There is no inbuilt MIC in Raspberry Pi. I am getting “No translation ”!!!!!! does this still working on latest software of NOOBS for RPI 3 ? error while loading shared liberaries: libboost_regex.so.1.49.0: cannot open shared object file: No such file or directory. what is the solution of this problem ? I have a question about the installation process:Whenever I type cd PiAUISuite/Install in, I get /PiAUISuite/Install S as output. After that I can’t do the sudo ./InstallAUISuite.sh because it says:command not found. Can someone help me with my problem?